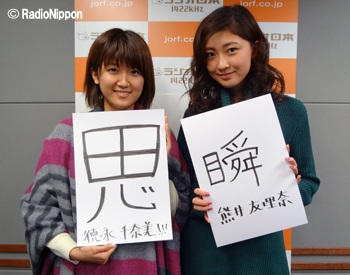 As it is the last broadcast of 2014, the hosts wish to introduce the kanji characters that best represented the year for them. Kumai-san mentions that the official Kanji of the Year for 2014 — as selected by the Japanese Kanji Proficiency Society — was “税” (zei, tax), referring to Japan’s consumption tax increase from 5% to 8%. Kumai-san still feels that 8% is huge, and she hates it when some prices are listed only as e.g. “5000 yen plus tax,” wishing that they would just list the full price as-is, tax included. Kumai-san’s kanji of the year is “瞬” (shun, moment/instant). For her, it felt like the year was over in an instant. Also, after their hiatus announcement, she has been treasuring each and every moment with the group more than before. Chii praises Kumai-san’s kanji as being very deep and agrees with her choice: she can’t believe that it was only earlier this year that they went to France or released “Diet Oukoku” — she says she probably wouldn’t be able to do the choreography right now if asked to. Chii’s kanji of the year is “思” (omo, think/consider/reminisce). Chii explains that she thought about things a lot, what with their hiatus announcement, their trip to France and such. Plus, she felt that she made lots of memories with the group this year, like going to Disneyland together, sleeping in the same room with everyone, etc. Kumai-san is impressed with Chii’s kanji choice, too. Fan mail #1: This listener has a question for Chii. The hosts previously briefly talked about how Risako is into doing physical exercise lately, specifically stretches for the upper arms. The listener would like to get a more detailed description of this exercise, specifically from Chii. According to Chii, you do this upper arm exercise simply by stretching your arms to the sides and just repeatedly turning your wrists so your palms face forwards and backwards, forwards and backwards. As to why Risako originally started doing this exercise ties into “Diet Oukoku.” When the group first learned of it, they wondered why they’d been given a song with such a title. 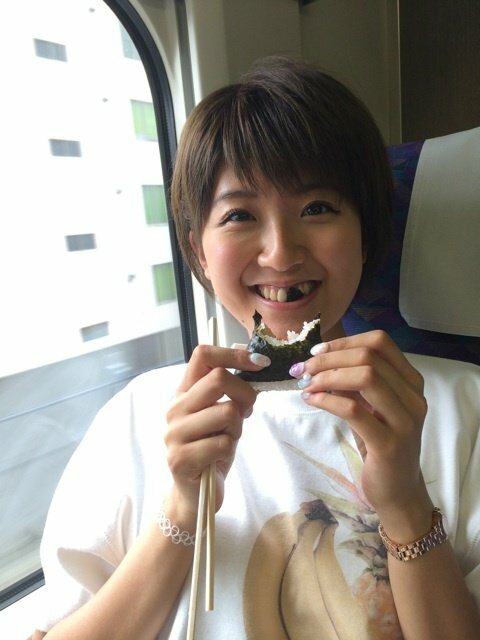 They eventually came to the conclusion that they should all start dieting, and everyone announced their methods: Kumai-san said she’d start eating less chocolate than usual, Chii said she wouldn’t rest her body weight only on one leg when standing up anymore, and Risako said she’d begin exercising. It’s been just about a year now since they shot the music video for “Diet Oukoku,” and the other day when they met their dance instructor again after a while, she asked Risako if she’d lost some weight. 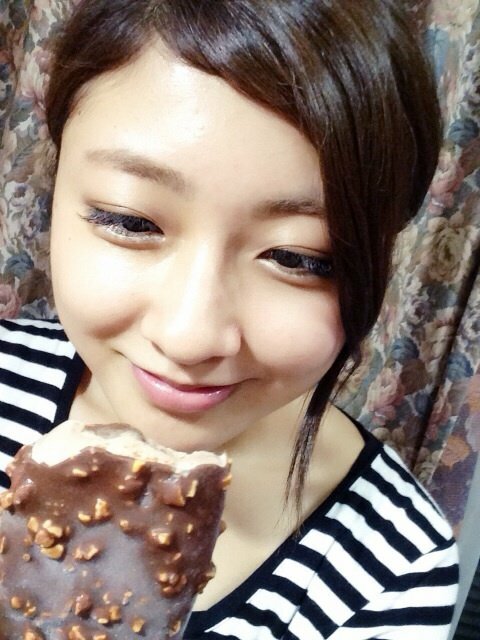 Risako’s diet ended up a success: she’s been doing her upper arm exercises throughout the year. Meanwhile, neither Chii or Kumai-san were able to keep up with their diet regimens for long. Fan mail #2: Among the many concert tours Berryz has done over the years, the listener asks if the hosts have any performances that have been particularly memorable for them. Kumai talks about a certain concert tour where she got to sing Risako’s solo song “REAL LOVE” by herself (2011 Spring ~Shuukan Berryz Times~). When she first received the setlist for this tour, she genuinely believed the staff had made some kind of a mistake in typing her name for this song. It turned out to be no mistake, and she still hasn’t forgotten how scared she felt getting on stage during the intro to the song at the first concert of the tour, where most of the audience were obviously expecting to see Risako. But she does like the song, and she’s now glad she took on the challenge. For Chii, it’d be the version of “Loving you Too much” she did with Maasa on their autumn tour — she just can’t rid herself of her recent infatuation with rapping. Kumai-san still remembers when they started rehearsing for the tour. Back then, Chii couldn’t do the rap part of the song at all — she was worried if Chii was even going to learn to do it passably before the tour started. But somehow she pulled through, and she had zero problems with it on the tour. Chii thinks she’s going to listen to lots of rap music from now on. 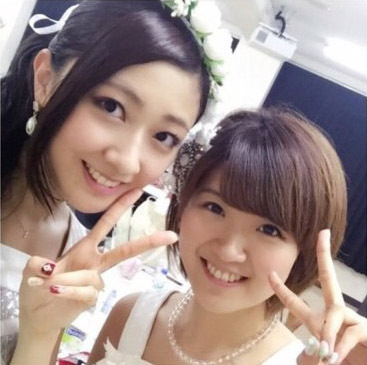 Fan mail #3: The listener attended Berryz Koubou’s Cotton Club dinner show earlier in December. He gives positive feedback on the event, and asks if it felt confusing with the fans in the audience all wearing suits or dresses. The members, too, appeared very dressed-up at the event, wearing stiletto heels which meant they didn’t dance at all. Chii was so nervous, she didn’t even know if it was okay to laugh on stage or not. Kumai-san expected at least a couple of people in the audience to come in wearing T-shirts as usual, but everyone there was following the dress code. It looked to Kumai-san like the audience, too, didn’t quite know how they should get into the show in a setting like that, and most seemed to be quite shy. “It felt fresh,” she sums up.